E-commerce has gained a tremendous popularity and is used by the majority of people in this digital era. With the popularity of internet among people, selling through the internet is the most popular trend. As estimated there are approximately billion people using their smartphones for internet use as compare to other devices such as laptops and tablets. As per Statista the e-commerce purchase by mobile has seen a rapid growth since 2013. By the end of 2018, it is assumed that it will surpass the previous records and go up to 2 billion. M-commerce has definitely revolutionized the e-commerce market. In the current e-commerce industry, M-commerce has been entered in the entire sector including finances, information technologies and of course telecommunication. In these sectors, m-commerce is widely accepted due to which user and organization both are availing the ease of internet services. M-commerce can be said to be the process of using mobile and internet, which ultimately results in online shopping via mobile. M-commerce has been influencing people with time but still a vast majority of e-commerce retailers and merchants are unaware of its unlimited benefits. 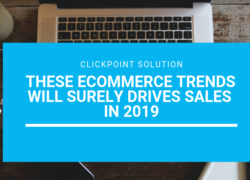 They are still struggling and implementing different marketing strategies to create awareness and popularity of their online stores and brand. They didn’t know that m-commerce is of the most popular and effective methods to enhance the customer base and overall revenue. Mobile commerce is a part of e-commerce which allows people to do the transaction through their mobile devices. Many big brands and tech giants are adopting this technology to gain profit in their respective industries. Gone are the days when mobile is used only by rich people. In today’s scenario, with the extreme competition between mobile companies, phone prices have come down due to which more and more people are adopting this technology without thinking too much. The number of mobile users is increasing very rapidly. Delivery at doorstep becomes a very easy option for the retailers which appeal every user to have hands-on with shopping online. With the smartphones, online shopping has become very easy, with a few clicks and scrolls user can browse or check billion of desired products and make a purchase without going anywhere. 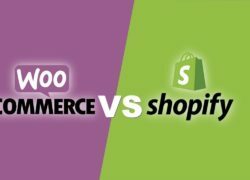 This advantage makes e-commerce business more popular. The technologies related to smartphones, be it in software or hardware, is increasing day by day. And so is the competition. Smartphone with bigger screens is the output and it has completely changed the mobile usage pattern. Depending on the merchants mobile processing system there are multiple choices for an online transaction such as debit card, credit card, and other online transaction platforms. This made money transaction more easy and secure. Due to an increase in the number of sales through mobile phones, more and more businesses are getting involved in making user-friendly applications which give user a seamless shopping experience with a single tap. And also mobile apps are 20 times faster than the website. Many other such features have helped the online retailers get a stronger and greater grasp on customers. Mobile apps form an integral part of the business in the e-commerce sector. With few clicks, a customer can access their desired online store and make a purchase. M-commerce also benefits to retailers by providing multiple features such as responsive website and net banking. How it is Benefitting Retail Industry? Online retailers get the benefits of personalized communication with users. The analytics department can very well analyze the interests of any user and send the messages accordingly. Push messaging technique is very well employed here. Marketers are able to get better conversions with their targeted marketing campaigns. Mobile commerce has taken marketing a more personalized fashion which results in improved conversion. If we discuss location based marketing it is done by tracking the mobile devices by GPS and the user are sent offers and deals according to their locations and demographics. E-commerce sector is using social media for the advertisement of their company. Social media channels like Instagram, Facebook, Linkedin, and Twitter have become an integral part of daily activity. All the e-commerce companies are using social media brand awareness among the people. The e-commerce industry is expanding very fast and so is mobile commerce. In a Forbes report it was stated that in 2014, 47% increment in e-commerce growth was observed. According to Gartner, if we consider the only United States, the total revenue incurred from mobile commerce will be equivalent to all digital commerce, by the end of 2017. M-commerce is no more ignored and everyone dealing in e-commerce sector is well aware of its impact. More and more companies are launching their mobile apps. Online companies are now investing in graphics and user interface of their online store and apps and, also providing great customer support which is a very important factor today. According to the study it is very common to abandon purchase after adding products in the shopping cart and most of the customer does that. Amazon and some of the e-commerce giants started investing in the customer experience. According to a survey, customers spend more time on user-friendly website like Amazon when compared to websites other websites. Best eCommerce development services are brought in a picture to design the mobile apps and websites for greater and better user experience. More and more users are using mobile phones for online shopping instead of other devices. The future of m-commerce is very good and increasing rapidly day by day. A study says, 40% of e-commerce revenue is coming from m-commerce, by the end of 2020. The traditional mode of online shopping like desktops and laptops are getting replaced by mobile phones. People are moving with m-commerce and every e-commerce business have started making their online store responsive and mobile friendly. Also, the tactics like ranking high on Google searches with help of digital marketing are also provided benefits to the retailers. Only those who get on with the flow of m-commerce today are going avail the benefits of m-commerce trends in the e-commerce business.